Kashmir is a beautiful poetry written on the canvas of time. There is something about its aura that makes wonder if time could be paused and you’ll sit in a corner of Dal Lake and just watch the world go by. For a long time, I have tried to process this feeling in words but always failed to do justice. 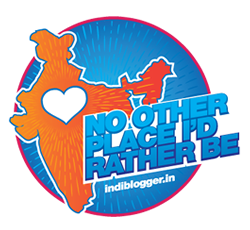 Not in poetry, not in prose, the story of my visits to Kashmir couldn’t find a place in the pages of my mediocre blog. I have felt that everyone goes to a different Kashmir. The land adjusts itself according to the mentality and personality of the person visiting her and then shows something unique, something beautiful. While many blogs remain pending, this is the first from my many journeys to Kashmir. A visit to the beautiful, sleepy vegetable market of Dal Lake. It is 4 in the morning when someone knocks on the door. Its Hamid, the manager of my houseboat. I had asked him to take me to the morning market of Dal Lake. He was expecting that I’ll be asleep, but I am awake for half an hour now. Not even the harshest of cold will stop me from visiting this place. We start at 4:30 in the morning. It is chilling out there, not as freezing as it used to be in Ladakh, but still kinda cold. A reddish hue tells me that sun will come out in some time. The boatman says that the colors will play hide and seek for a while before letting the sun finally show up. Boat goes by small villages. You’ll find a lot of plantations over the lake which serve as a primary source of income for these people. After crossing these plantations, you’ll come right in front of a hustling bustling part of lake. Here, some 10-15 small boats arrive every morning with fresh vegetable and fruits. Locals come here, buy vegetables from different boat owners. Many exchange vegetables with each other and later leave for the market to sell them. I have never seen anything as lively and as rustic as this floating market. Of all the places I have travelled during my backpacking trip in Kashmir, this has been the most empty and devoid of tourists. Kashmir evokes many emotions. It is a trip where you’ll be emotionally invested the most. These emotions will randomly hit you, while travelling, while eating, while speaking to anyone, at the most unexpected moments. But if you have been to Kashmir, you’d know that. Beautiful writing and beautiful photos! You make me want to visit this place too! Amazing! Sadly, I have never been to kashmir. Your post serves as an urgent reminder. Hopefully, will plan a visit by next year! Amazing pictures and beautiful writing. I’ve never thought about visiting Kashmir but reading your blog and looking at your pictures. I feel a calling to Kashmir. Absolutely stunning photos. It is a real shame that is beautiful place has been terror ridden for years and this is the reason why I have never visited yet. Nonetheless, Would love to visit soon. WOW! What an amazing photo essay of Dal Lake’s floating vegetable market. Its like we just had an amazing virtual tour! Learnt about something new today and hope to visit the place one day! Thanks a lot for dropping by. You should plan a trip soon. I love the way you captured this beautiful experience. A little jealous. I have also learned that you should wake up early if you want to capture beautiful pics. Even if its cold. Thanks for sharing. Yes, I have missed a lot of things because of being a late riser. I am improving upon this habit. I have never been to Dal Lake and always see its stunning beauty in films. One day I would love to sail in this beautiful lake with those floating markets. As Kashmir is full of emotions, I would love to visit it one day.